Now that you can't escape the steely visage of Lou Reed, staring grimly from billboards across London in promotion of his solo/Velvets retrospective NYC Man, it's worth remembering the other, perhaps more interesting creative dynamo of the Velvet Underground, pioneer Valley Boy (that's the Welsh Valleys) John Cale, who returns with a new mini-album, 5 Tracks, showcasing his very personal brand of soundtrack experimentalism. Cale's career has charted a remarkable course somewhere between the underground and the cutting edge of pop. Born in South Wales in 1942 of a working-class background, Cale played piano and viola from an early age. He travelled to London to study music in the 1960s, where he met the classical composer Aaron Copeland. Copeland arranged a scholarship for Cale to study with the Boston University Orchestra, and in 1963 Cale moved to New York, where he performed with a number of avant-garde groups and projects. In 1965 he formed the Velvet Underground with Lou Reed, and while the definitive New York sleaziness of the Velvets lyrics came mostly from Reed, and the jet-black nihilist posturing was inspired by the Factory svengali and part-time cookie jar dealer/banana painter Andy Warhol, it was Cale's bass, viola, keyboards and production vision that inspired their distinctive, if not original, droning, glassy sound. Cale left the Velvets in 1968, a split that seemed almost inevitable given the ego war at the heart of the band and Reed's self-destructive tendencies. Cale then led a curious double existence, working as an experimental solo artist on albums such as Vintage Violence (1970), or the melodic Paris 1919 (1973). His work has combined his orchestral inclinations, as on his 1989 album Words for the Dying, a collection of fellow Welshman Dylan Thomas's poems read over symphonic music. He's also worked closely with Brian Eno, as on the 1990 work Wrong Way Up. His live act gained a reputation for unpredictability and violence in the 1970s; several members of his band quit after he killed a chicken on stage. In the 1990s he briefly reformed the Velvets with Reed, Sterling Morrison and Mo Tucker, to a varied critical reception but general acclaim from the fans. Meanwhile though he's been heavily involved as a producer and A&R man, working in-house for Warner among others. He has produced a varied stable of artists, including Sham 69, Squeeze, and The Modern Lovers. Perhaps his greatest production effort was on Patti Smith's epic Horses; check the recently reissued version with a psychotic version of The Who's My Generation featuring the man Cale on bass. 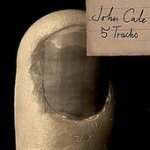 Thus his latest effort has as a background the increasing recognition of Cale as a major influence on underground rock music and on the links between art music and pop in the last thirty years. As such, it's an introduction to his work that shows, to a degree, his interest in experimental song forms, symphonic music, and curious lyrical compositions. Cale's voice, which fans of the Velvets will not necessarily be familiar with, is more Radio 4 (the station) than Radio 4 (the band). It's plummy, posh, and unashamedly designed for public speaking, choral work and poetry readings. The album is also very short, as the title would suggest, and has the air of ideas for soundtracks, rather than a completed project. Opener Verses sounds like an intelligent version of what Sting might have done after leaving The Police, mixing ethereal backing vocals with atmospheric instrumentation, before going wild in typically Velvets style. Waiting for Blonde is a somewhat acerbic portrayal of New York street life, bordering on satire but also flirting with being the insane ramblings of a madman. Chorus for Dumpty is similarly bewildering, mixing avant guitars with a strange vocal sequence like the scene in Being John Malkovich where people can only say 'Malkovich', except it's about Humpty Dumpty. Yes. It is that strange. E is missing gives Cale a chance to show off his operatic skills, before premature closer Wilderness Approaching leaves the listener with a genuinely beautiful piano ballad that might serve as a lesson to current US-faves Coldplay: you do not have to steal all your tunes from U2 to tug heartstrings. So musically Cale's work is interesting, experimental, mildly challenging and a welcome reminder of the quirky genius of the man. Probably essential if you're a fan; worth a look if you fancy a brief glimpse at the other side of the Velvet Underground story.